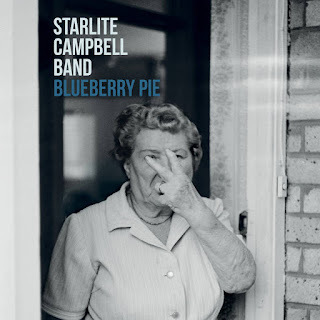 I just had the opportunity to review the most recent release, Blueberry Pie from the Starlite Campbell Band and I really like it. Opening with bluesy ballad, Walkin' Out The Door, Simon Campbell takes front and center on vocal and stinging guitar lead, backed by Suzy Starlite on solid bass and backing vocals, Steve Gibson on drums and Jonny Henderson on Hammond creating a Booker T feel. Great opener. Boogie blues track, I Need A Light, has a great driving bass line, again with Campbell on lead vocal and adding Danny Boy Sanchez on harp giving it an even blusier feel. Very cool. 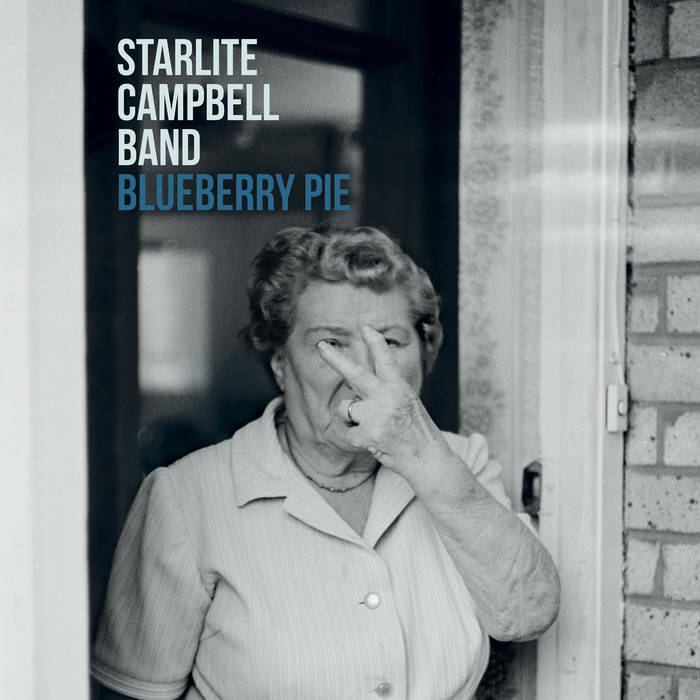 Title track, Blueberry Pie is a quiet acoustic duet featuring Starlite and Campbell's blended voices. Taking a brush with the blues, Guilty, finds Starlite front and center on lead vocal and with an infectious bass line and backing keys, sets a great stage for Campbell to show some really nice Beck like guitar fireworks. Very nice! Driving rocker, Empire, has a great bottom and super vocal mixing for a top notch radio style track. With just a pinch of country, Don't Get Me Wrong, has a two step rhythm and with Henderson on piano and organ and highlighting Campbell's slide work is another track with solid commercial potential. Cool Freddy King like rhythm and lead guitar over Wurlitzer, gives Shimmy a great presence. You won't get tired listening to this one. Wrapping the release is warm ballad, Thrill You, with Campbell back up front on vocals. Nicely stylized key work by Henderson, tight drumming by Gibson and a nice walking bass line by Starlite set a great floor Campbell's BB King (Clapton) like guitar soloing. Excellent closer to a real strong set. Hey. Thanks for the review man. You are a blues hero!